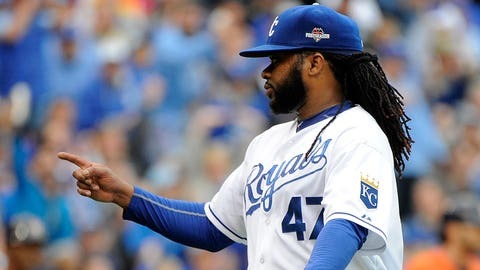 Johnny Cueto will get to feed off the Kauffman Stadium energy in Game 2. Johnny Cueto is scheduled to start Game 2 for Kansas City and potentially Game 6 — both at home. Cueto appeared to get a bit rattled in Toronto during one of the worst starts of his career in the AL Championship Series, but manager Ned Yost says that had no impact on the order of the World Series rotation. "No, I feel like he’s pitched great games here. He really draws on the energy of our fans. And again, I felt like you try to put everybody in a position where they can be successful," Yost said. "We just felt it was the best move." Jacob deGrom will pitch Game 2 for the Mets. He is 3-0 with a 1.80 ERA in three postseason outings — all away from home. "Seems like every time we played the Reds he was pitching," Mets manager Terry Collins said. "Now with his new delivery alterations he’s made, you better get your feet on the ground. Because this guy can quick-pitch you. He can make you wait. So you better get ready to hit as soon as you get in the batter’s box. That certainly is something unique to him." Before the World Series opener, Royals manager Ned Yost was asked about his time as a taxidermist. "My uncle ran a bowling alley there in Jackson, Mississippi. And they had a storage room out back. And that was my winter job," he said. "We’d go deer hunting and we’d do taxidermy in the back of the bowling alley back there. It was a lot of fun. The bowling alley is still there, but there’s nothing in the back but old bowling balls and old pins there, I think." Royals manager Ned Yost is in favor of trying to play through light rain. "MLB keeps saying that they think we’re going to be OK," he said. "There will be periods of mist and maybe some light rain. Hopefully not. But I think it’s a much better alternative than playing five straight. So we just go out and play our game." 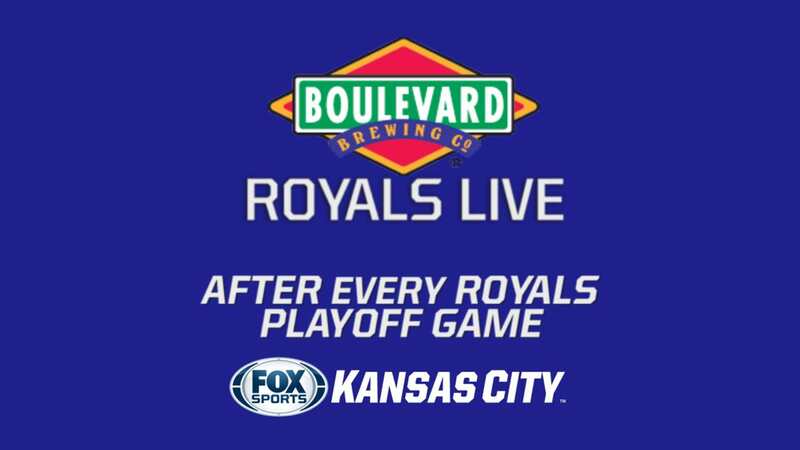 In the event of a rainout, the Royals would host the first two games Wednesday and Thursday, and the Series would resume Friday in New York, without an off day.